(Pur-eva-po system) It has a modular system that allows installation of product specific units. 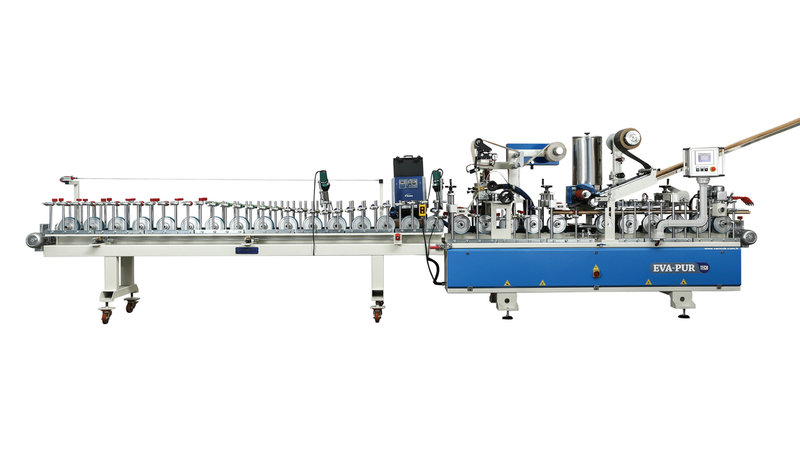 It is guarantee that the length of the machine according to the specific operation needs of the customer and the latest technology edge control precision. It has also features of touch screen with PLC and a language-independent user guide. Melting units in the form of granules or blocks for EVA, poliolefin and PUR glue.